ELMHURST – Eager to please children and parents slighted by an insufficient number of Easter Eggs filled with candy at previous egg hunts, the Elmhurst Park District has “guaranteed” that at least one in seven children participating in this year’s annual event will find an egg during the mad scramble scheduled to take place at Wilder Park on Saturday, March 26th at 10 a.m. 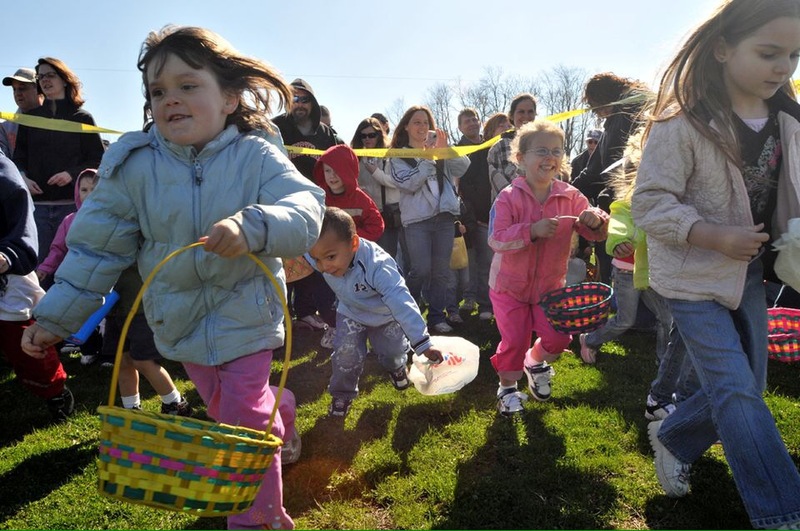 Adults entering the ring and assisting children during the egg hunt has also been addressed by the Park District this year, as parents will be required to wear human leashes affixed to nearby trees. The Egg Hunt is followed by “Doggie EGGstravaganza” at 10:30 a.m. and “Unrestrained Exotic Pets” at 11:00 a.m. I couldn’t find much talk when I was looking around, but I agree that it could have been taken a lot further. I almost went with the angle that the park district encourages a “gladiator-type” atmosphere. But it seemed too mean-spirited and I couldn’t avoid the comparisons between kids going after candy and people getting bloodied and dying in the arena.